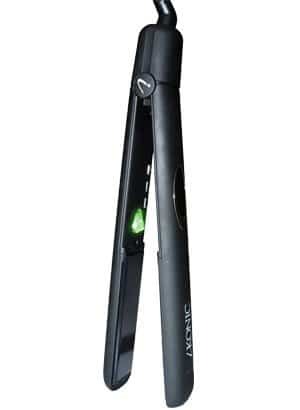 The Supernova is without a doubt the best tourmaline ceramic flat iron on the market! It delivers negative ions with multifaceted infrared technology that transforms frizzy, brittle hair into healthy hair with volume and shine. 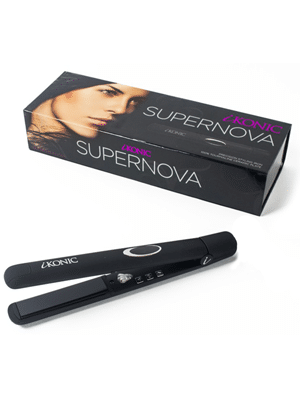 We carry ikonic tools at our salon for the past 8 months and customers love them , I personally use the supernova and the dryer… best flat iron and hair dryer I’ve ever used !! My sister just got it too and she loves it ! BEST flat iron I have ever used! I stepped out for my lunch break today and it was sprinkling out , my coworker and I both had our hair straight before we left, when we came back her’s was frizzy and poofy & was VERY surprised to see mine stay almost the same as before I left only with a little wave NO FRIZZ at all! Works AMAZING. Hello again , i meet Matt Kapulsky at the image expo hair show in Houston and i had the honor to try the pure tourmaline ceramic flat iron , all i have to say is the Integrity of my end result is just amazing amazing shinny bouncy hair and again a very healthy end result and if the hair has color more power to me ,, amazing amazing quality end result with Integrity,,, thank you Matt for presenting to me this outstanding great product . At first I wasn’t sure about purchasing the Supernova, but I am glad I did. My hair is softer then ever and I now straighten my hair every other day. Then ends of my hair are no longer dry or damaged. It has this infra red light coming from the plates that really helps make the hair softer , I’ve never felt my hair so soft all day long with no frizz I’m done in 20 mins vs an hour. I love my supernova! It leaves my hair so smooth and silky without the use of oils. I love it!